The Hakata Machiya Furusato-kan (or Folk Museum) sits just across from the torii of the main gate to Kushida Shrine, the “Sochinju” or Shinto deity of Hakata. It is a restored machiya, the former residence of a Hakata-ori weaver during the mid-Meiji period that was moved and comprises three wings. 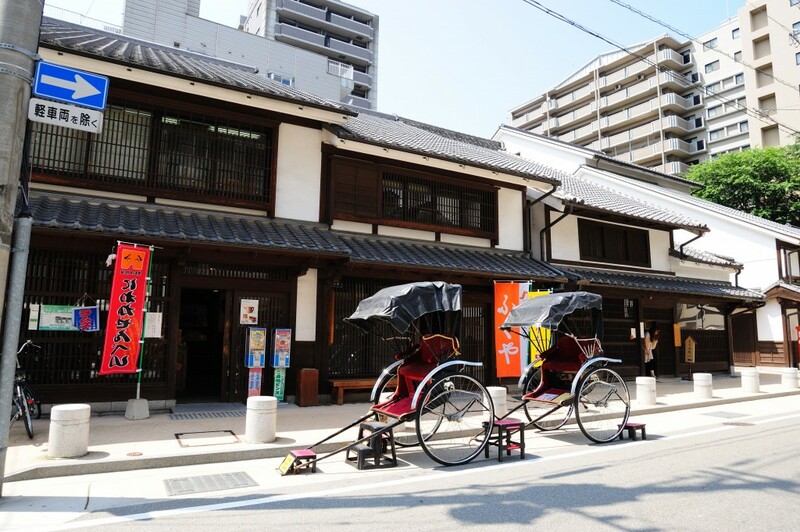 The Machiya Hall is a designated cultural heritage of Fukuoka City, while the Souvenir Shop stocks a range of traditional Hakata craft items, local sweets and goods from Fukuoka and Hakata’s most famous festivals, the Hakata Gion Yamakasa and the Hakata Dontaku, and more besides. 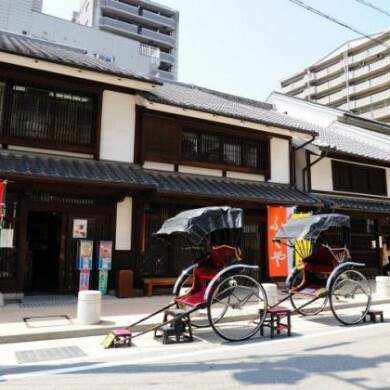 The third wing is the Exhibition Hall, with displays related to the history and culture of Hakata and live demonstrations of traditional craftwork. This is a place where you can see Hakata crafts in action, a daily changing line-up that includes Hakata dolls, Hakata hariko (papier-mache figures and masks), Hakata koma (spinning tops) and Hakata magemono (circular wooden trays and containers) being made, and even try it for yourself. Here we introduce the history of two crafts, Hakata dolls and Hakata-ori, and how you can take part in the crafting of them. ■ What is a Hakata doll? 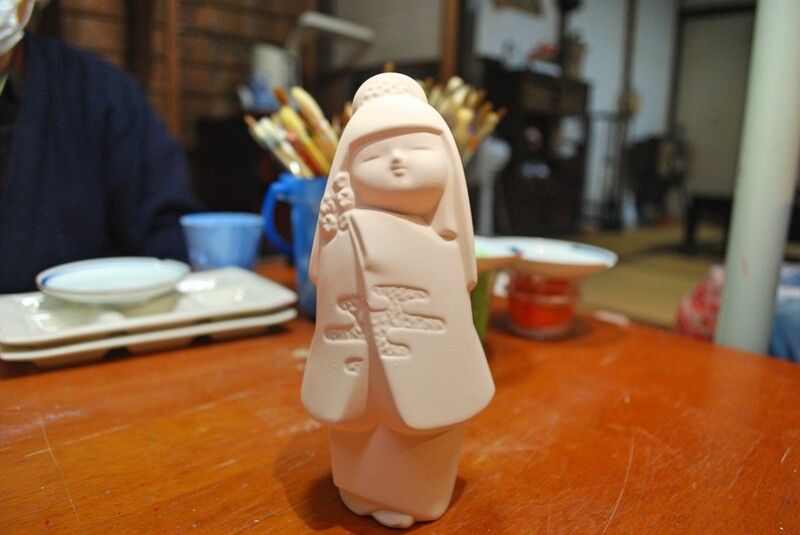 Hakata dolls are one of the major craft products of Fukuoka Prefecture. You will see examples on display at Fukuoka Airport and around the city. 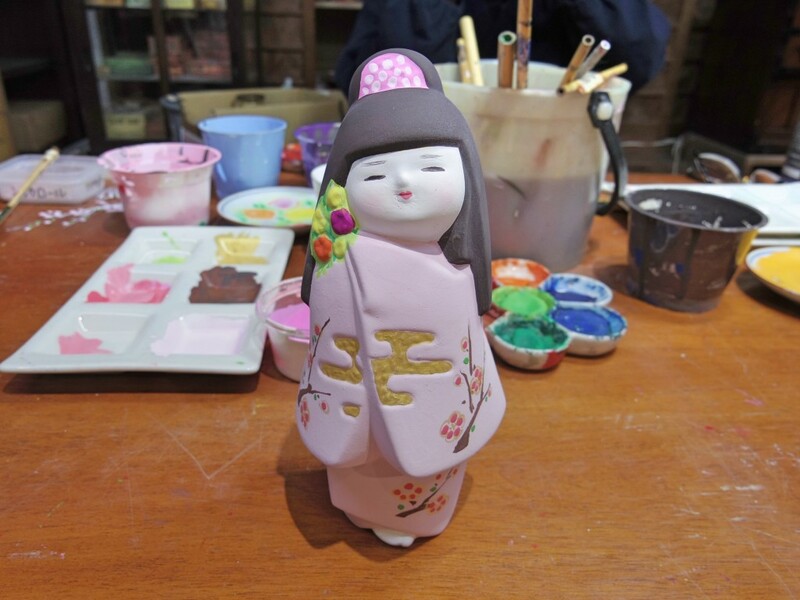 Doll-making in Hakata has deep roots. It is said to have begun during the construction of Fukuoka Castle by the first feudal lord of Fukuoka, Nagamasa Kuroda, when a castle tiler presented the lord with a doll he had made from the clay used for tiles. The dolls were acclaimed at international expositions during the Meiji and Taisho period and as the dolls that Japan presented to the world, they became known as “Hakata dolls”. The dolls come in a wide variety from beautiful ladies to kabuki actors and children. Hakata dolls are known for their high-quality, realistic facial expressions. 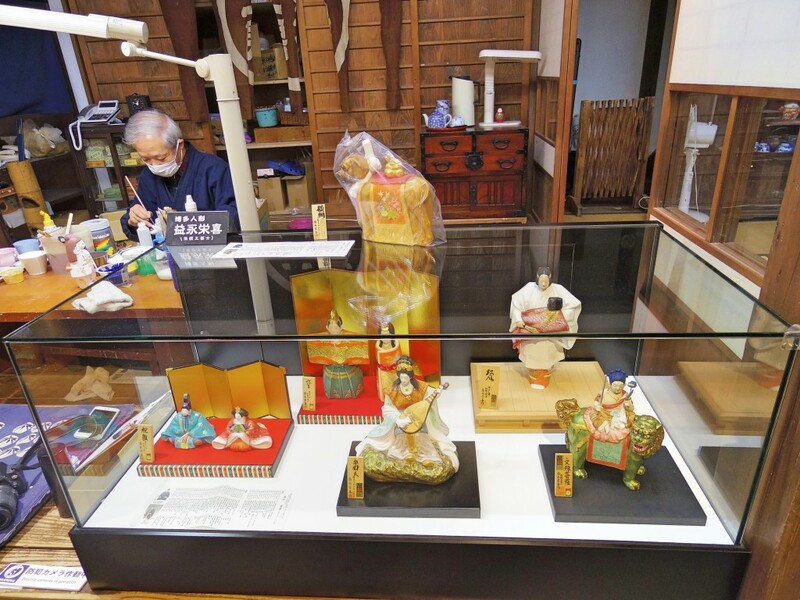 Hakata dolls, papier-mache figures and masks, spinning tops and wooden trays and containers are all made at the museum by turns on a weekly schedule. 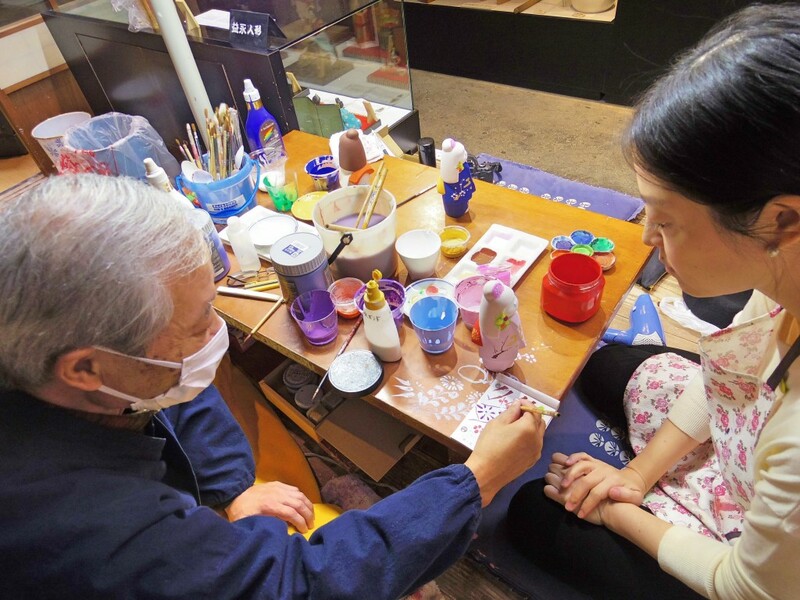 Hakata doll-making is on display from Friday to Monday, and for a materials fee (1,000 yen) and the entrance fee (200 yen), you can learn how to paint a doll from a traditional craftsperson. 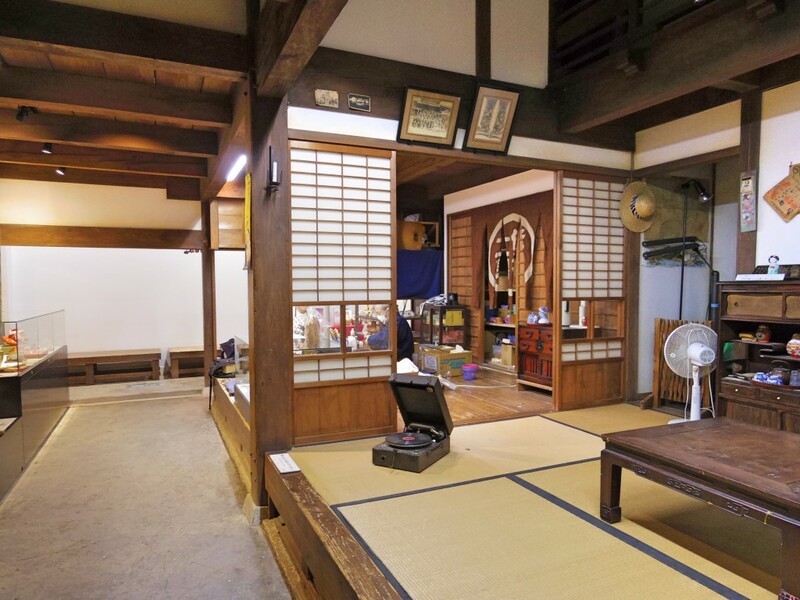 The doll-painting is taught in the Exhibition Hall second floor space, which has a very homely Japanese atmosphere. All instructors are fulltime traditional craftspeople. There are more than 10 teachers in all, who work here for roughly a month each. On this day, our instructor is Eiki Masunaga, who has been doing this work for around 60 years. There are two painting classes, one at 10am and one at 2pm, each lasting around an hour and a half. The doll you can paint here is called “beautiful lady”. You can add the colors of your choosing to a plain figure. First, you select the color of the kimono, then chose the colors of the flowers and hair accessories to match it. Don’t worry if you have trouble choosing colors or holding the brush. Your teacher is there to provide gentle guidance. Done! If you have time you can also give the kimono a pattern. For example, the kimono in this picture has been painted with plum blossoms. The paint dries quickly so you can take it home with you that day. This is indeed a great souvenir. 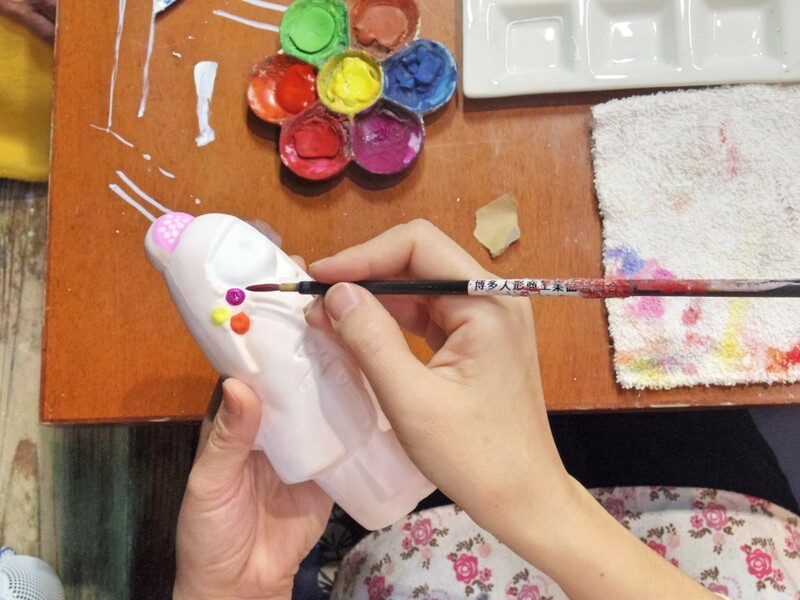 Not only have you used your hands to create something new, you also relive the experience every time you see your Hakata doll at home. 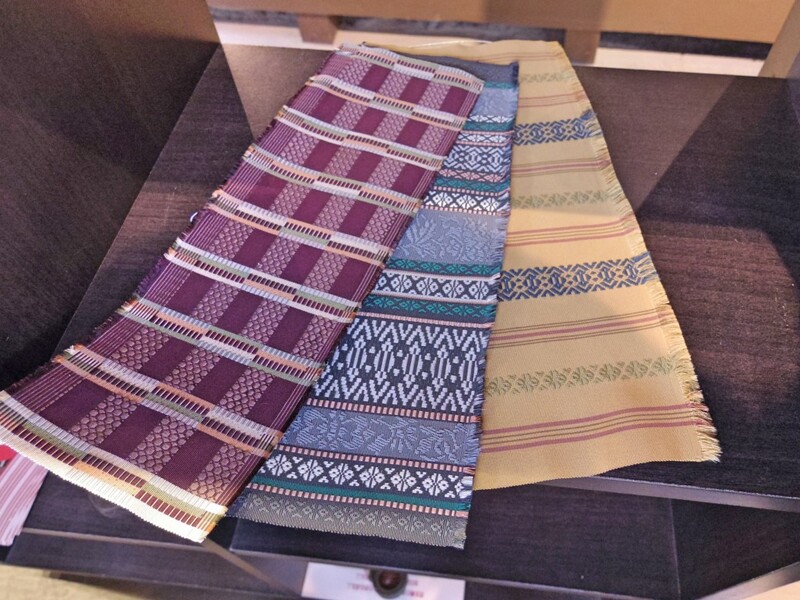 Hakata-ori (ori means weaving) is fabric made in Hakata. 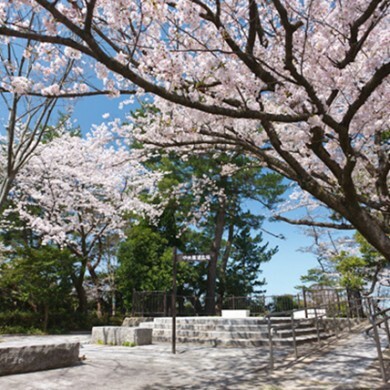 Its origins can be traced back to 1241, when a Hakata merchant named Yazaemon Mitsuta returned from China and passed on the technique he had learnt there. It is used in traditional Japanese sashes, or obi, as the fabric is dense and tight, qualities attained by using a number of thin warps and thick wefts made by twisting multiple thin yarns together. In fact such is the strength of Hakata-ori, it is used by sumo wrestlers for their mawashi (loincloth). 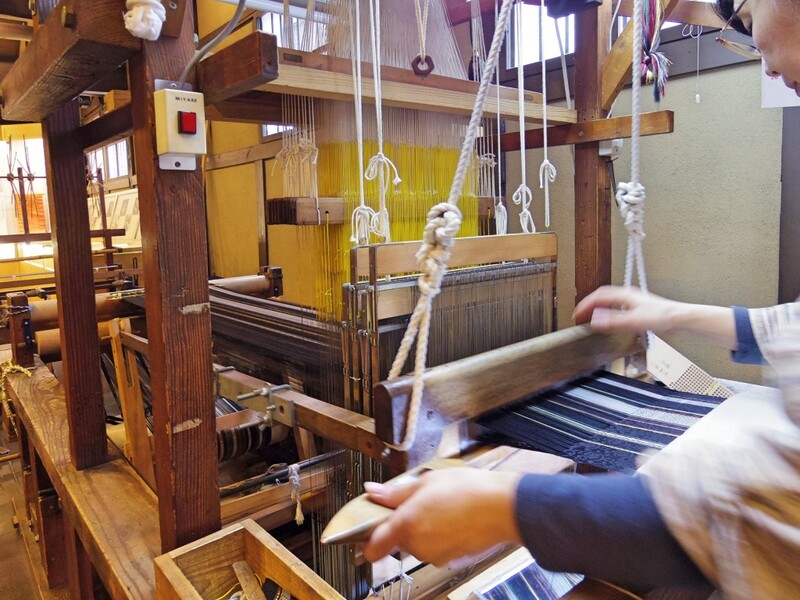 Every day from 11am to 1pm and from 3pm to 5pm, you can watch a Hakata-ori master weaver at work. 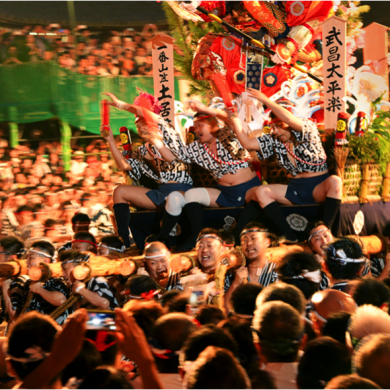 A thudding, rapping noise booms from the Machiya Hall. 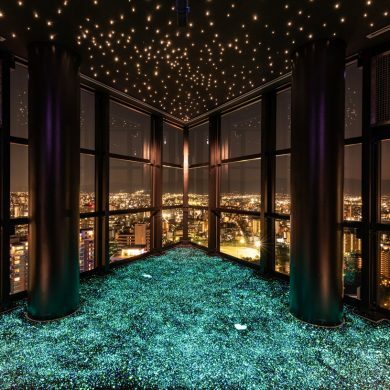 Stepping inside, a fairytale world unfolds. 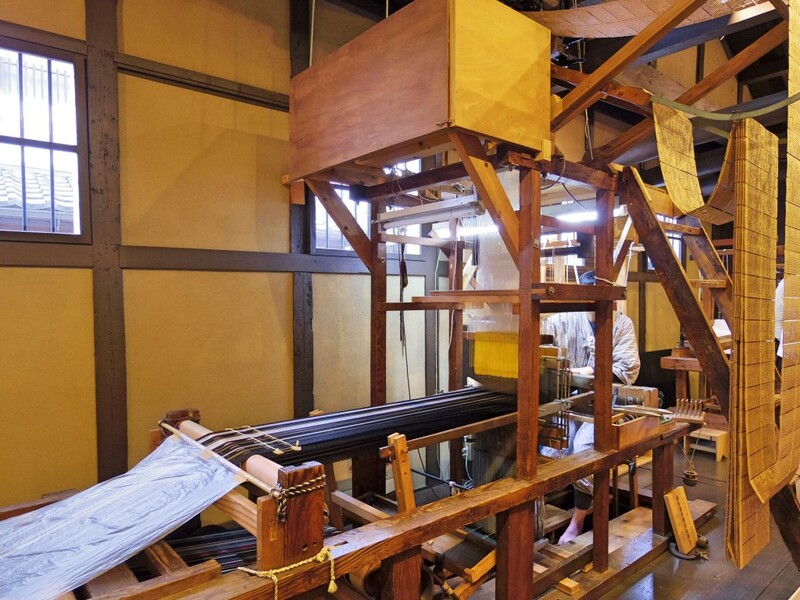 A large hand powered loom that is 3.5m long and 3m wide is used. A musical rhythm is created by the sound of the shuttle threading the weft (cross) yarn across the approximately 7,500-thread warp (straight) yarn. Here we are watching just the finishing process, but a large number of processes are involved before this stage, each one requiring precise and meticulous handiwork by different craftspeople: deciding the pattern, dyeing of the silk thread, gathering the right number of warp threads of the right length and strength, and the placement of the warp yarn. 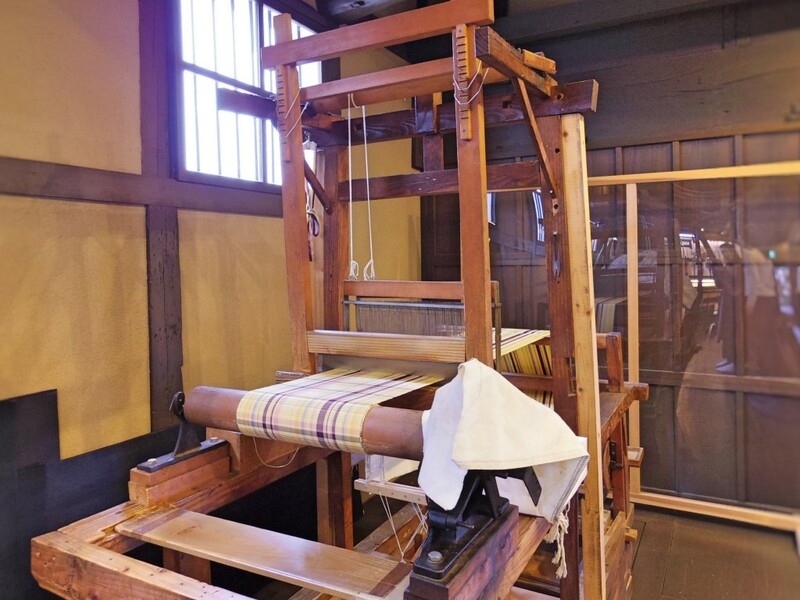 The Machiya Hall has a hand powered loom that you can try your hand at during the demonstration hours for free. The number of threads is only one-tenth of that used in the demonstration loom so the difference in size is clear. Nevertheless, applying even force through dextrous use of both hands and both feet is not so easy. 10 minutes of work yields just two cm of woven material. 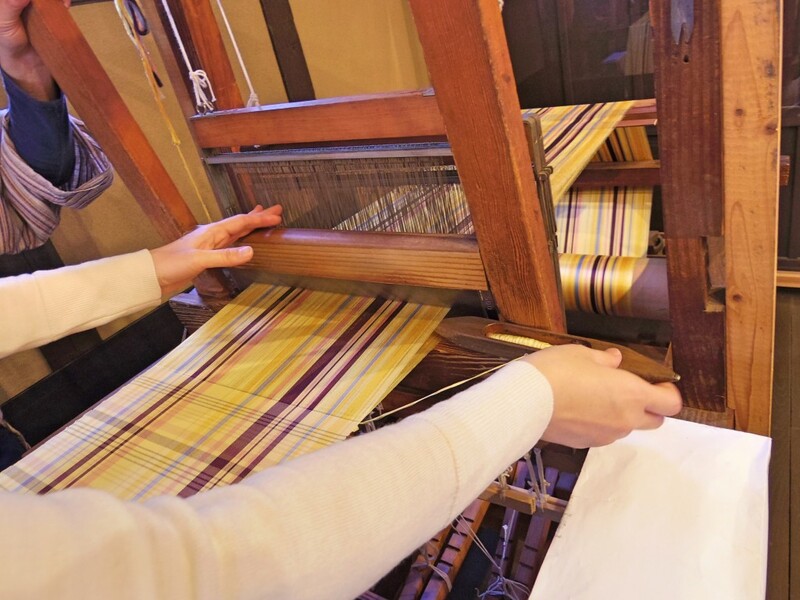 It is not possible to take home the fabric you’ve woven, but it is a precious experience of using your own hands and feet to drive the loom, something that you had only ever seen in Japanese old storybooks. On a shelf to the side of the loom is the thread used in the loom and samples of fabric made, which can be handled by visitors. You find yourself entranced by the beauty of the meticulous patterning and luster of the silk thread in the material. 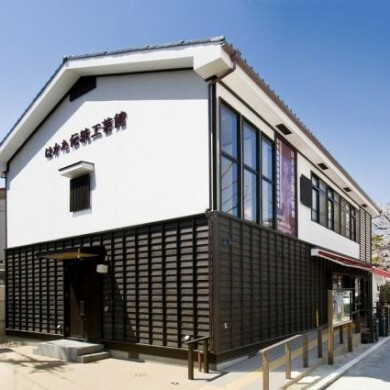 Hakata Machiya Folk Museum is a place where you can gain a deep sense of craft and tradition through real experience. 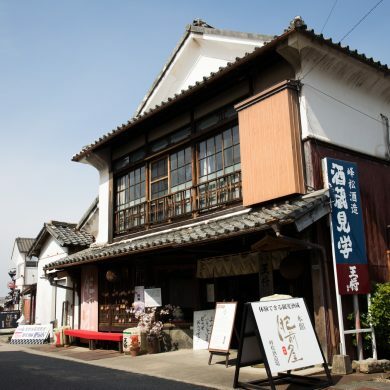 After watching real demonstrations, it is time to buy a memento at the Souvenir Shop. Just as this is an enjoyable day out for tourists from Japan and around the world, it is also an excellent experience for Fukuoka locals. On show at the nearby Hakata Traditional Craft Center are some of the finest examples of Fukuoka and Hakata crafts. Entry is free of charge, so definitely drop by here too.